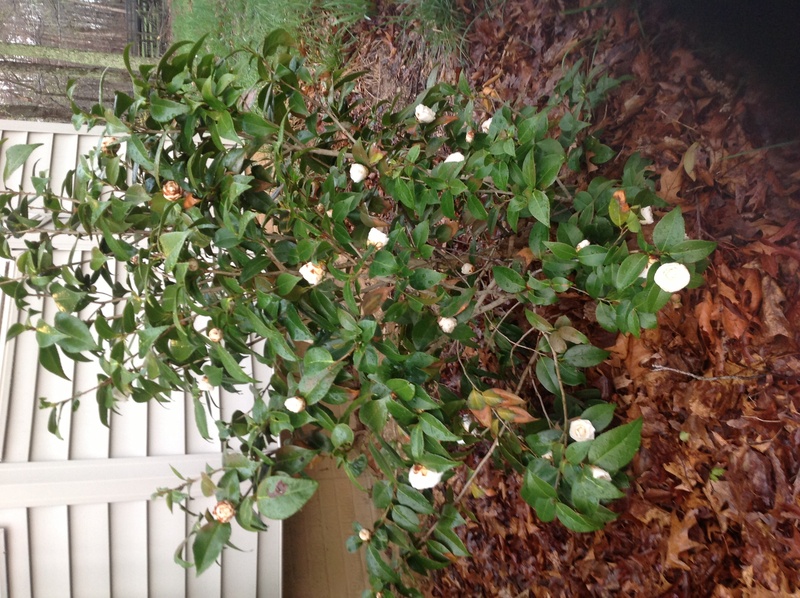 This public service announcement is to remind readers that some breeds of camellias are hardy down to the bottom of USDA zone 7 (zero degrees). 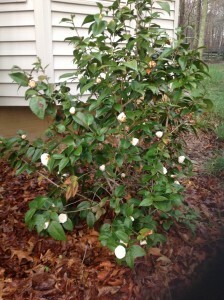 With the right combination of plant, placement, and complete neglect, you too can have a lovely, white camellia* blooming in your yard, too. * It's also frost-burned and late-by-a-month, but happy nonetheless.